Rather than asking your employees to sacrifice sleep for the business, one management expert suggests incorporating it into your HR policies instead. While top leaders such as Barack Obama, Jack Dorsey and Indra Nooyi have said they get by with around four to six hours of sleep, the perception that sleep is a luxury that has to be sacrificed for corporate success is a myth. This is the view of Christopher Barnes, associate professor of management at the Foster School of Business, University of Washington. “Sleep is a resource to be strategically leveraged by companies to allow their employees to perform at their best – creating a culture of leadership, creativity, confidence, and good decision-making,” he wrote in a whitepaper co-authored with Gretchen Spreitzer from the University of Michigan. Build a work culture that values sleep: “Create policies and actions that back up what you say and model as a leader about the importance of sleep.” For instance, leaders can stop sending emails late at night to encourage employees to follow suit. Give staff time away from work once the workday is done: “Time away from technology and separation from work can allow employees to de-stress and prepare for sleep.” Encourage staff to ‘un-plug’ and spend time away from their phones. Set up a nap room in the office: “Even a few minutes of napping can significantly reduce the likelihood of an employee making a mistake at work.” Let staff take short, 30-minute naps around 3pm when their circadian rhythms dip. Limit the number of scheduled hours: “Employees should not work more than 12 hours per day or more than 60 hours per week and they should not be permitted to work more than 80 hours per week.” Also allow for rest times after long distance or night time travel. 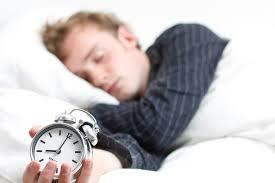 Reduce employee shift work: “Avoid work schedules that fight natural sleep patterns, especially shift work that necessitates constant changes in sleep schedule.” If possible, use virtual technology for night time work so the employee is in fact doing it during the day. Incorporate sleep into your disaster plans: “Plan to include sleep into a disaster plan. Employees will be able to sustain their best performance over time through a crisis recovery when they are well rested.” Rotate schedules or set up dark rooms so employees can still sleep when needed.